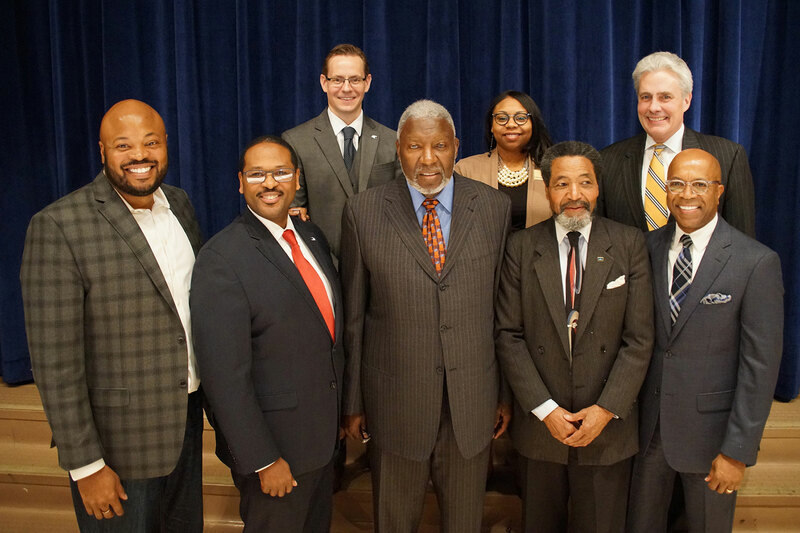 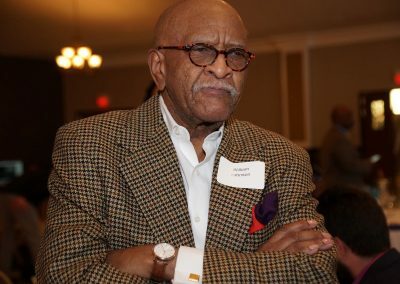 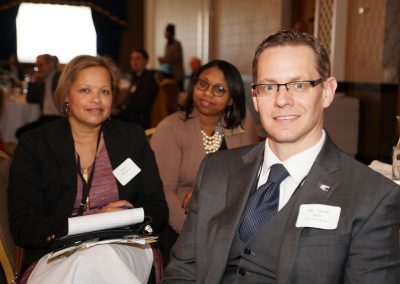 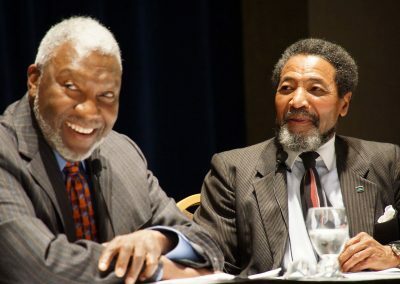 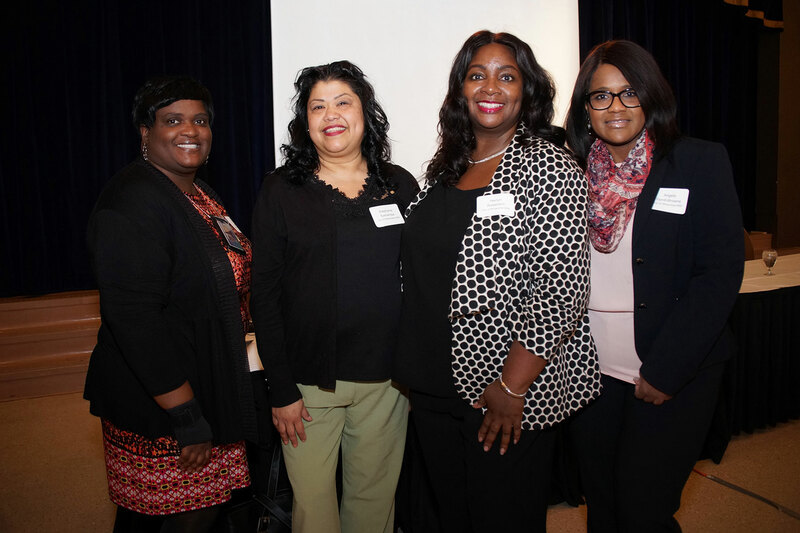 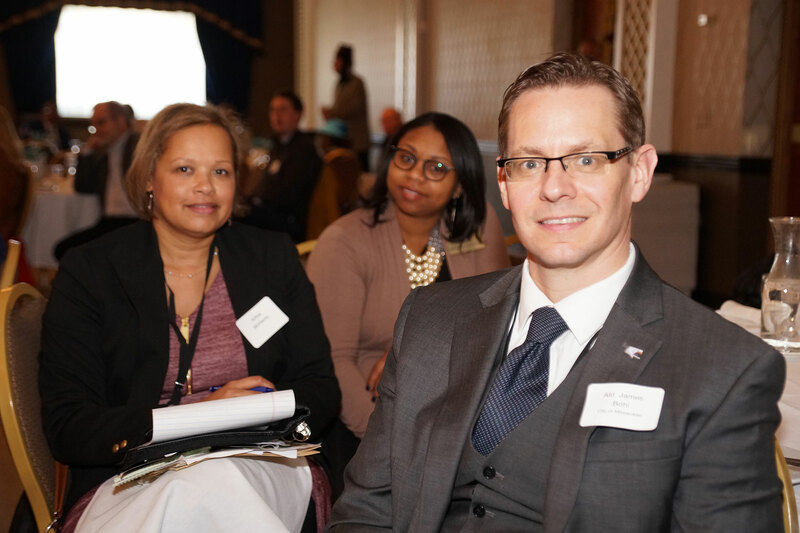 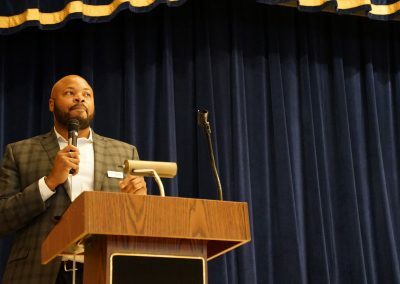 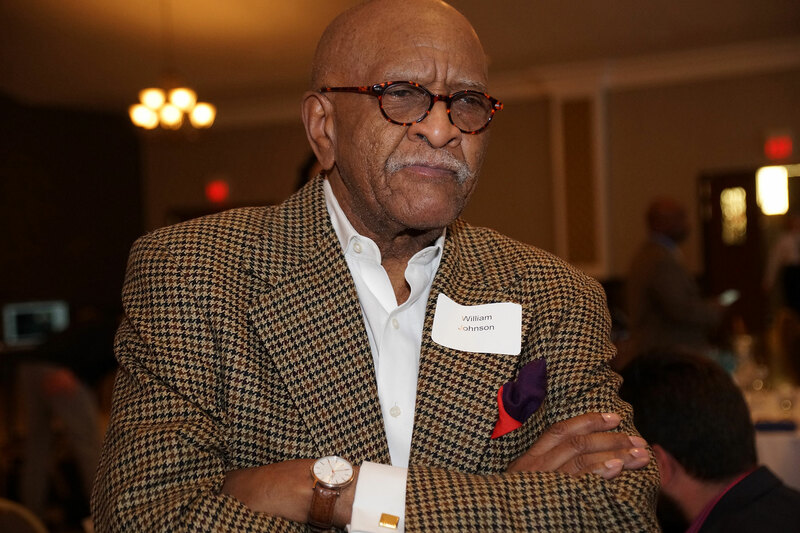 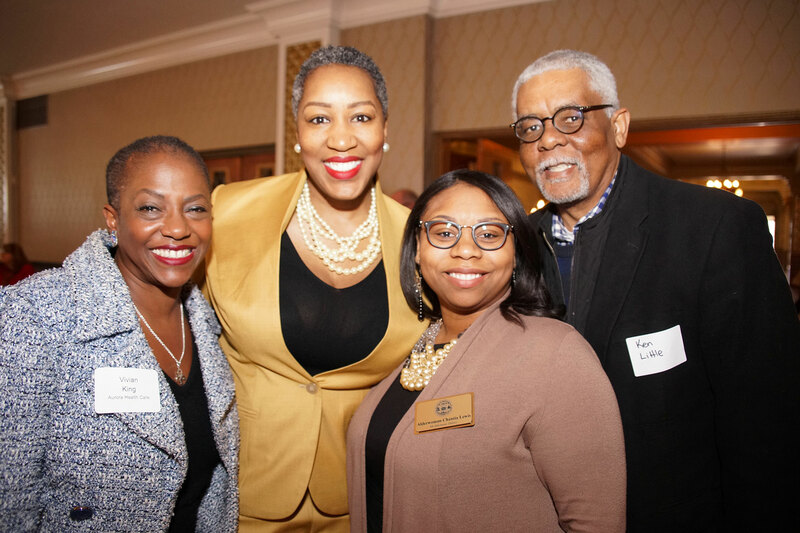 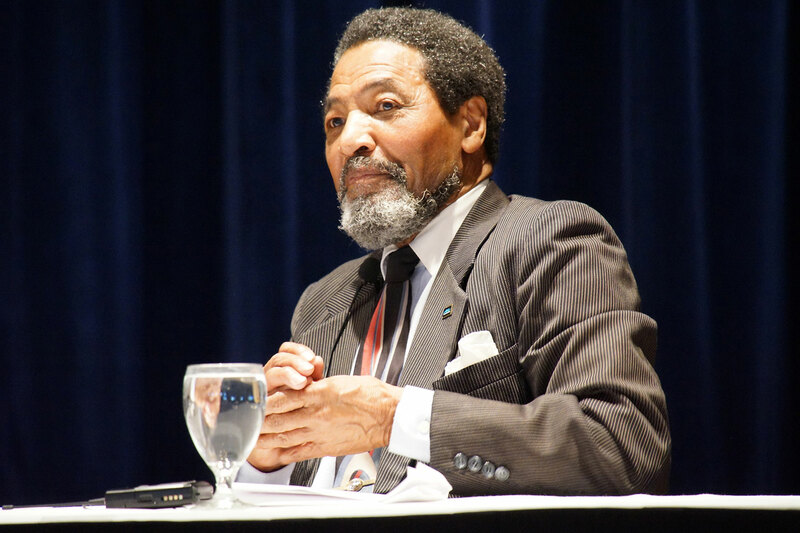 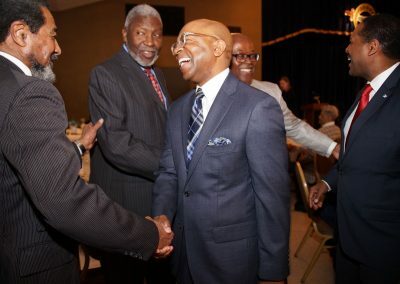 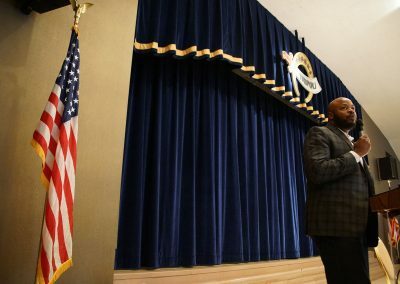 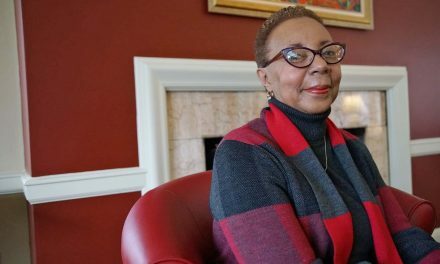 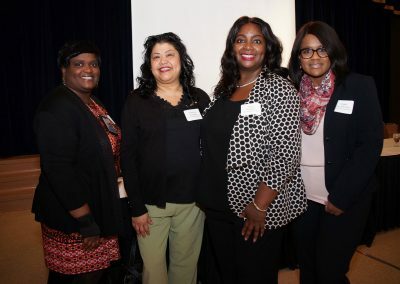 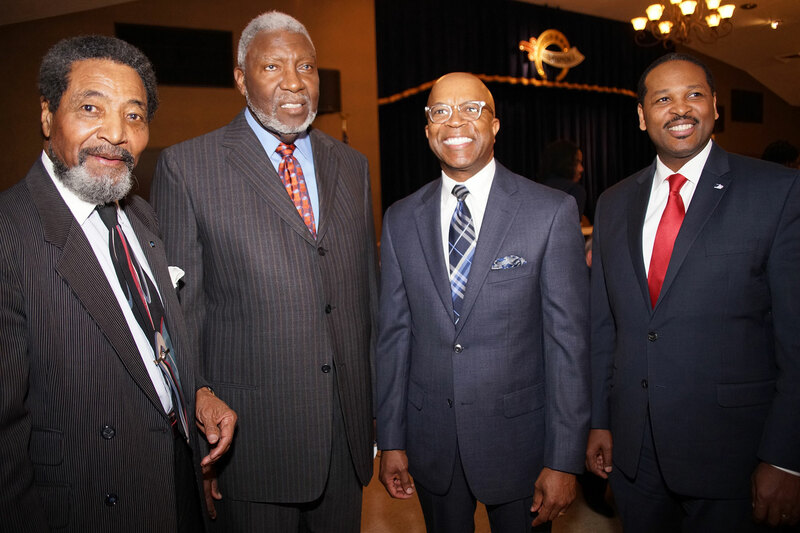 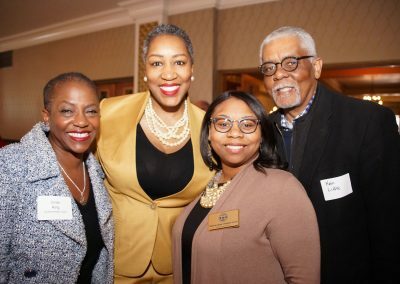 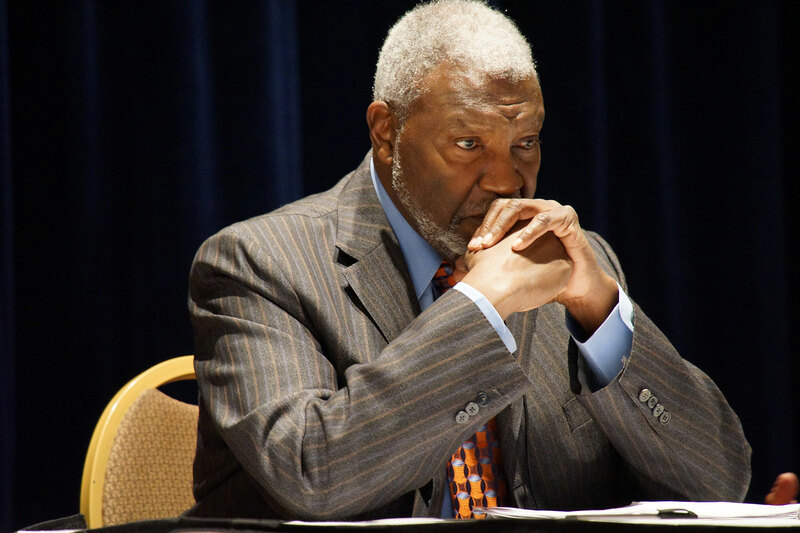 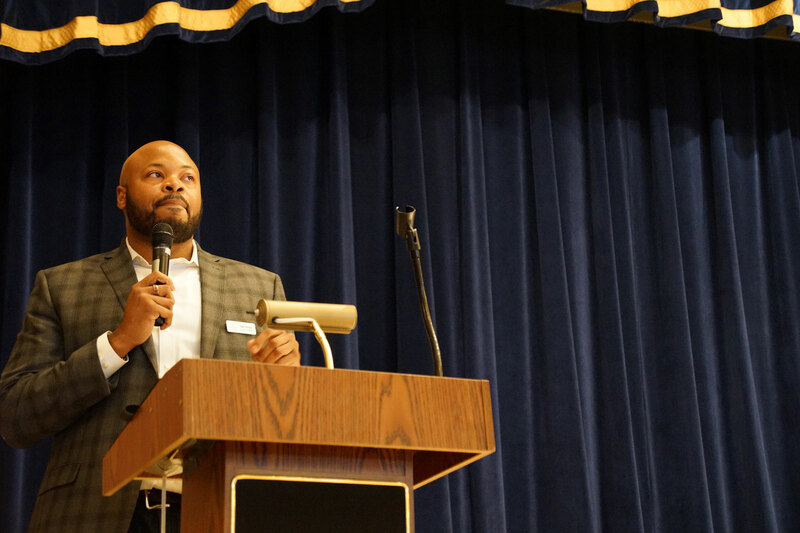 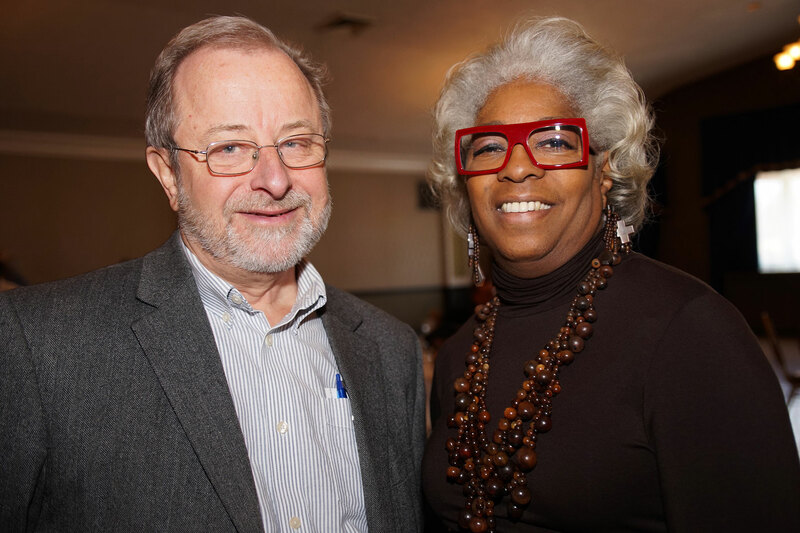 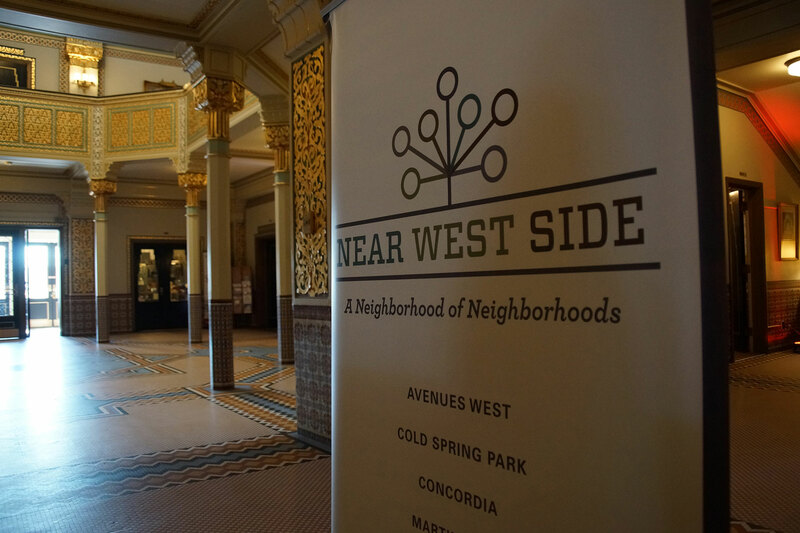 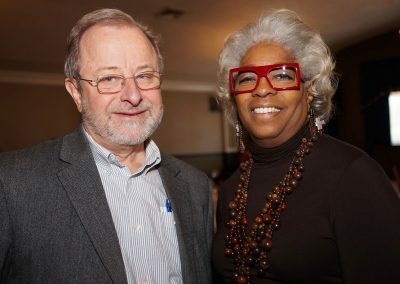 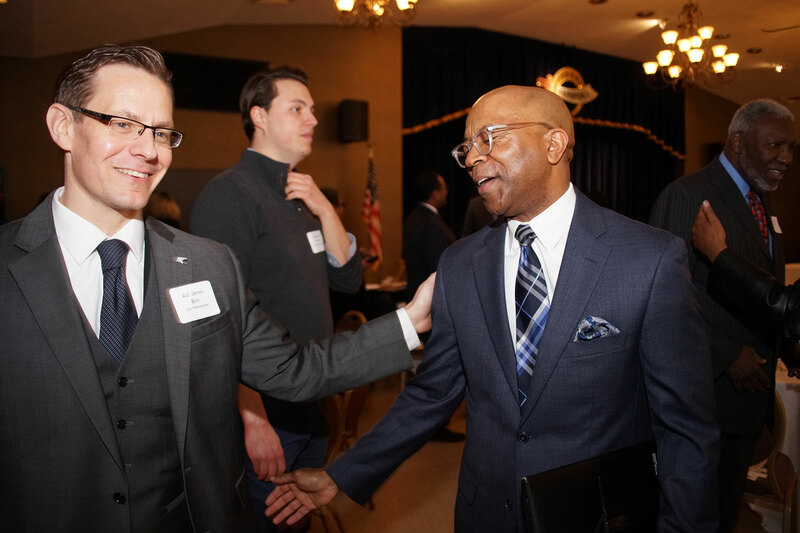 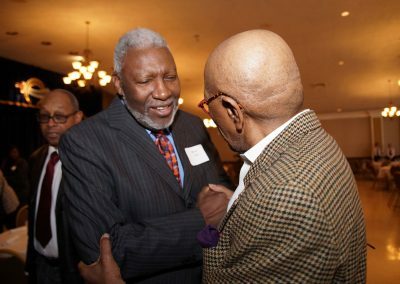 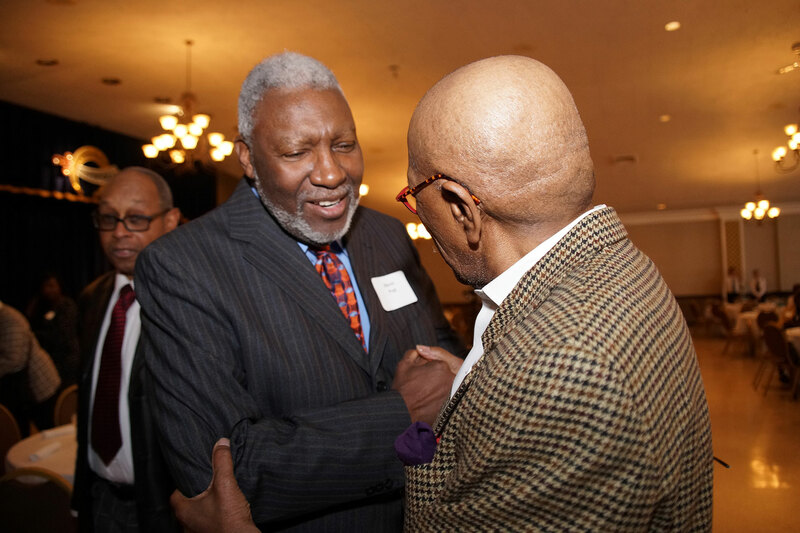 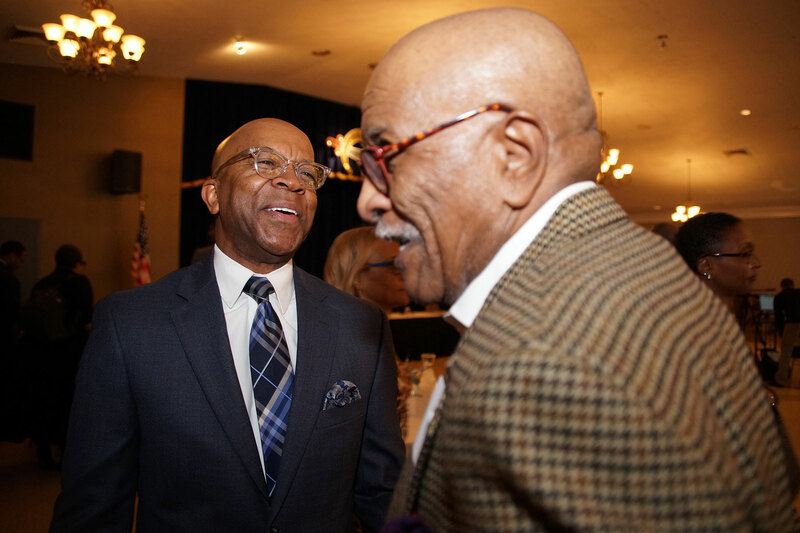 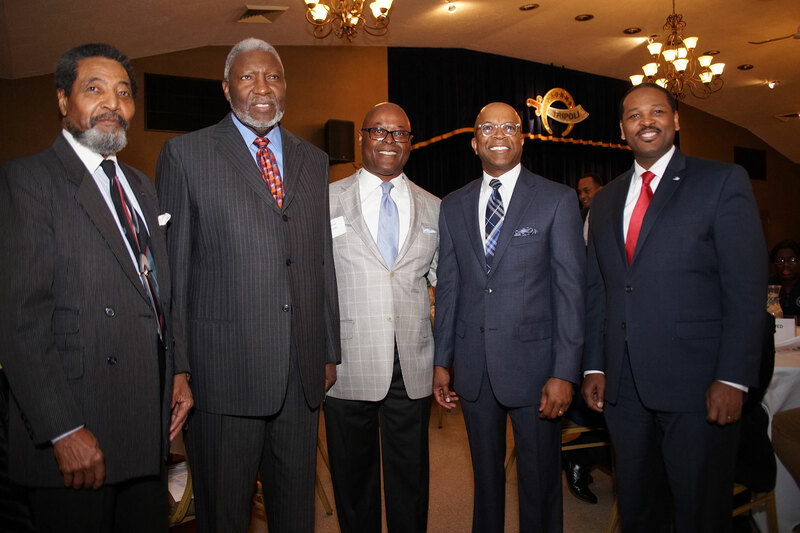 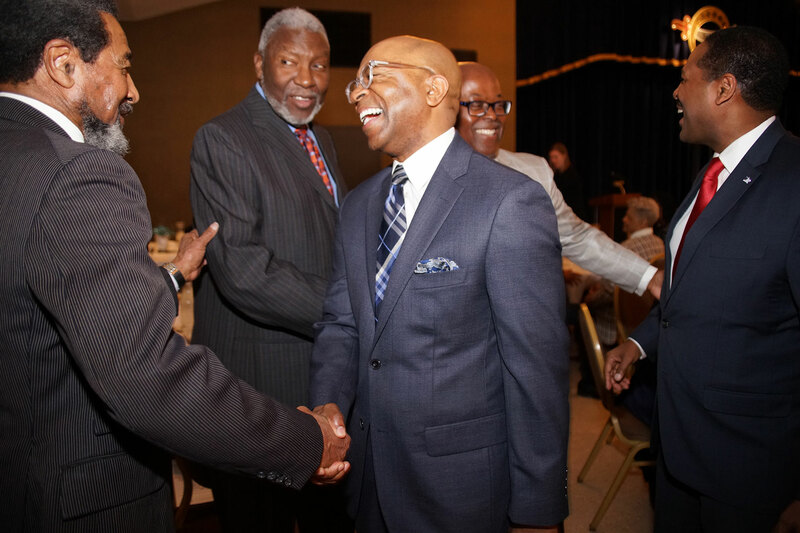 Near West Side Partners and the Avenues West Association hosted the first ever panel discussion with the four past and present African American Common Council Presidents at the Tripoli Shrine Center on March 22. 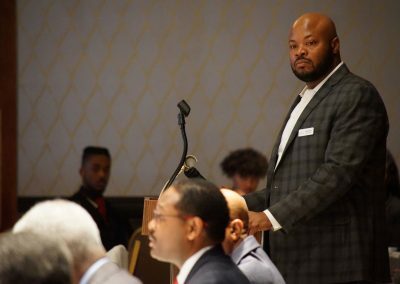 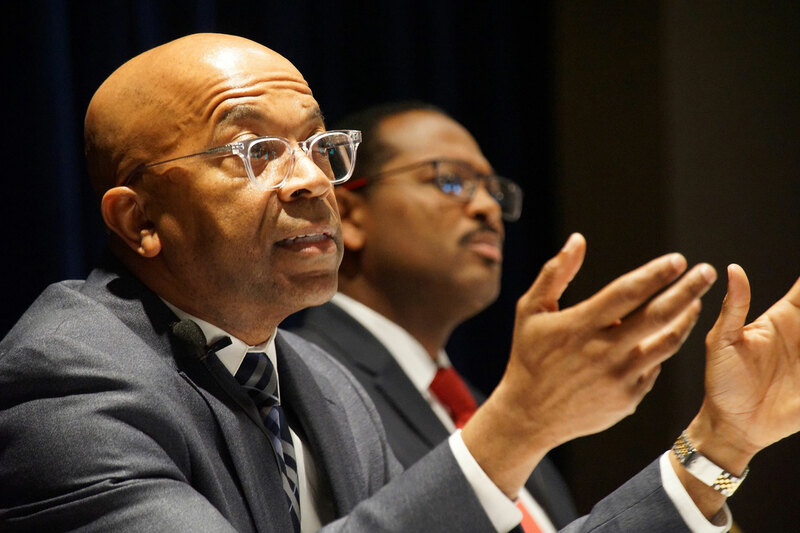 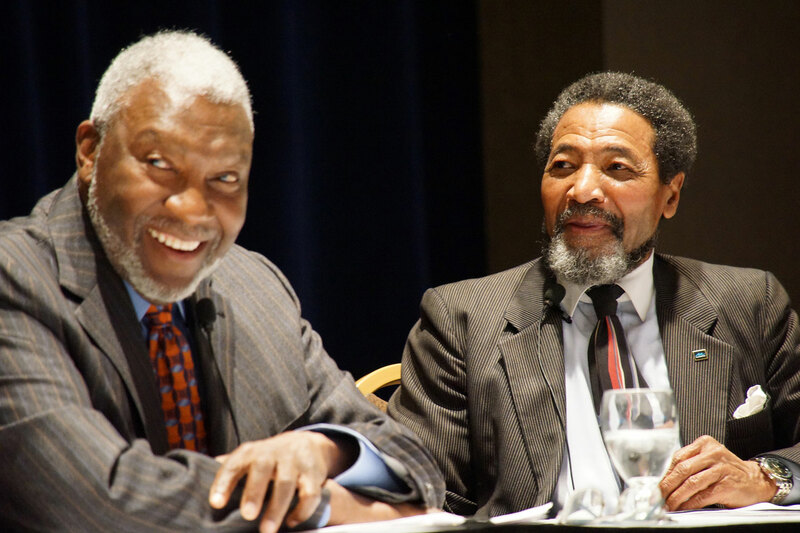 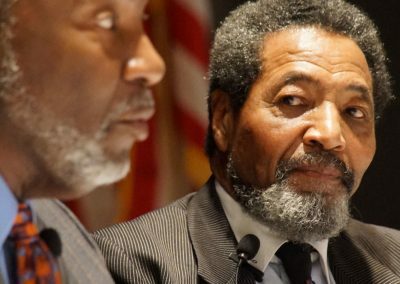 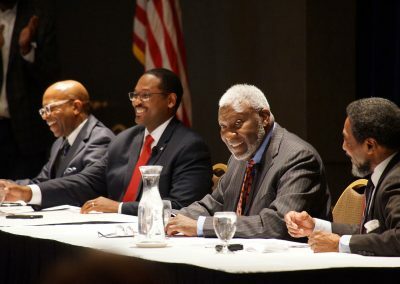 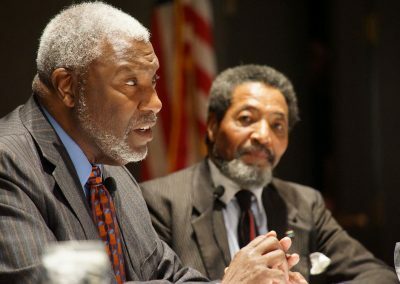 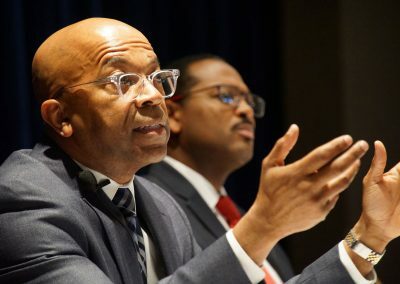 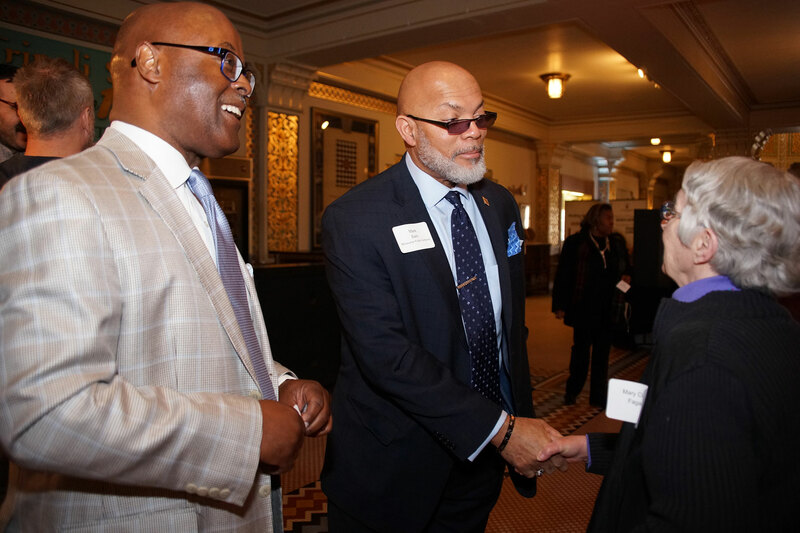 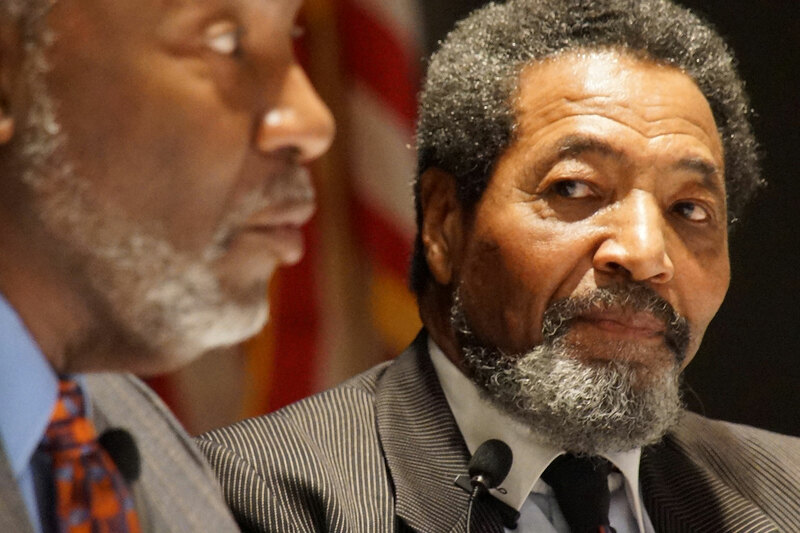 The only four African American men to hold the presidency of the Milwaukee Common Council sat together for the historic conversation, and shared their memories and views of the public policies that occurred during their term. 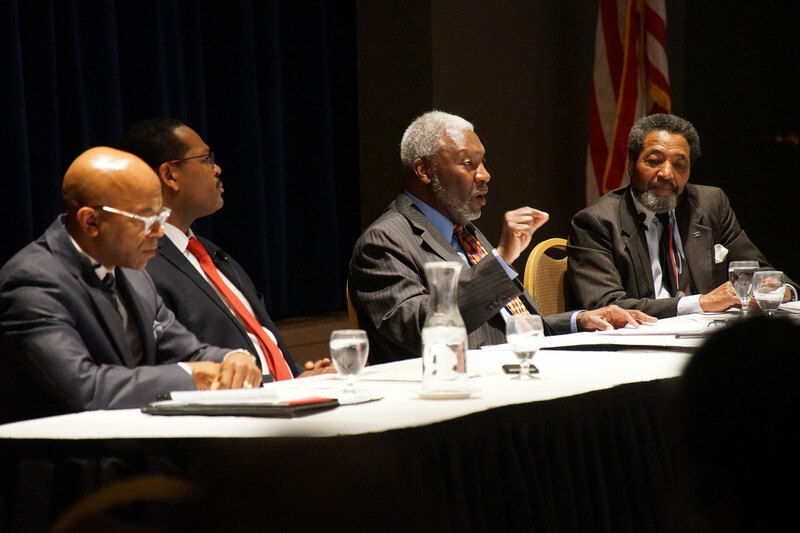 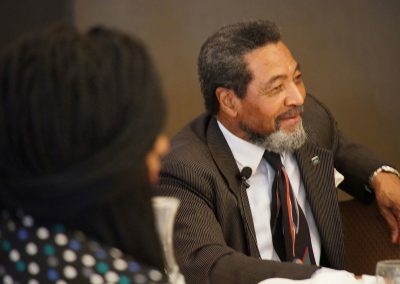 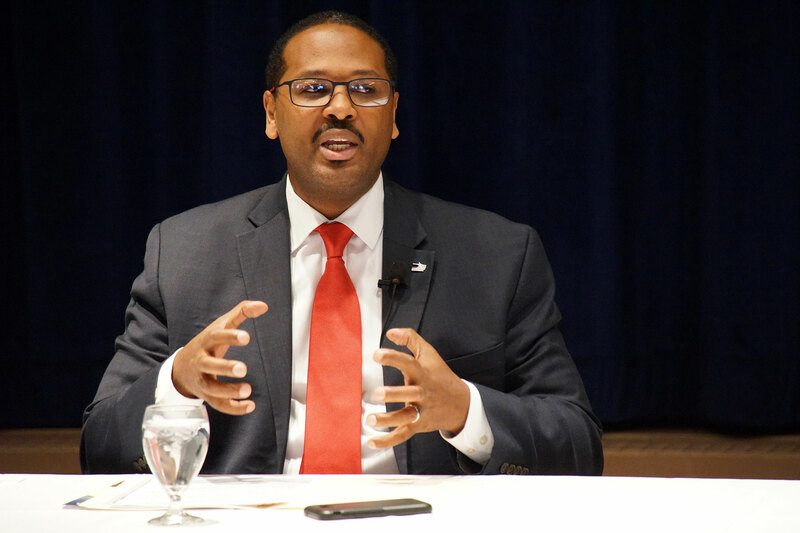 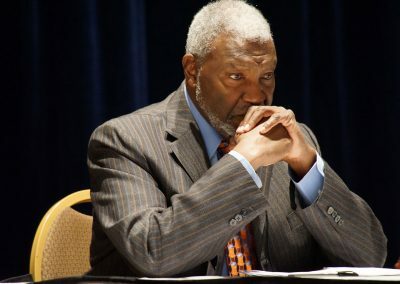 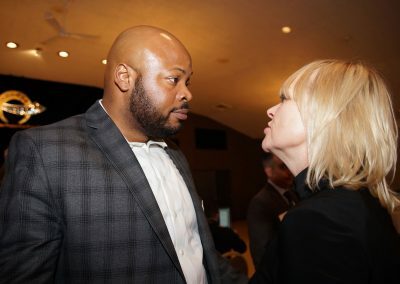 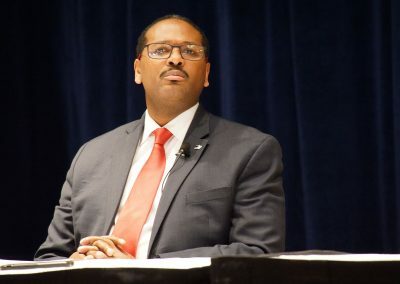 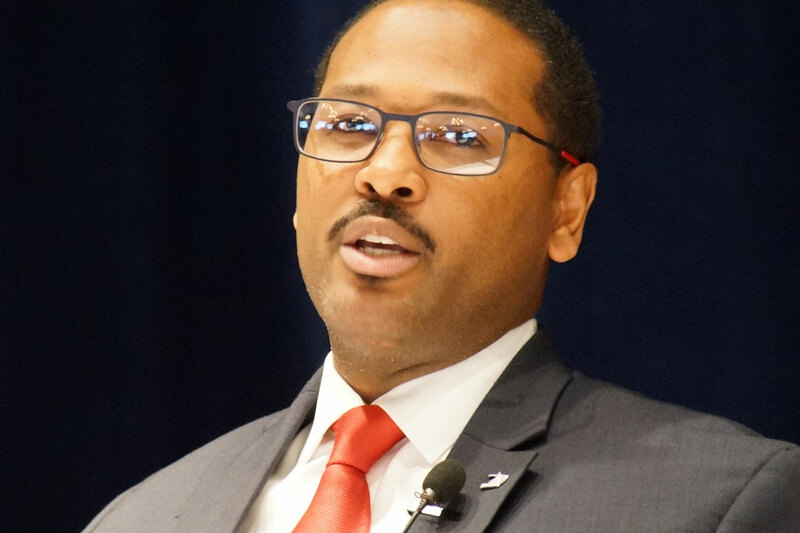 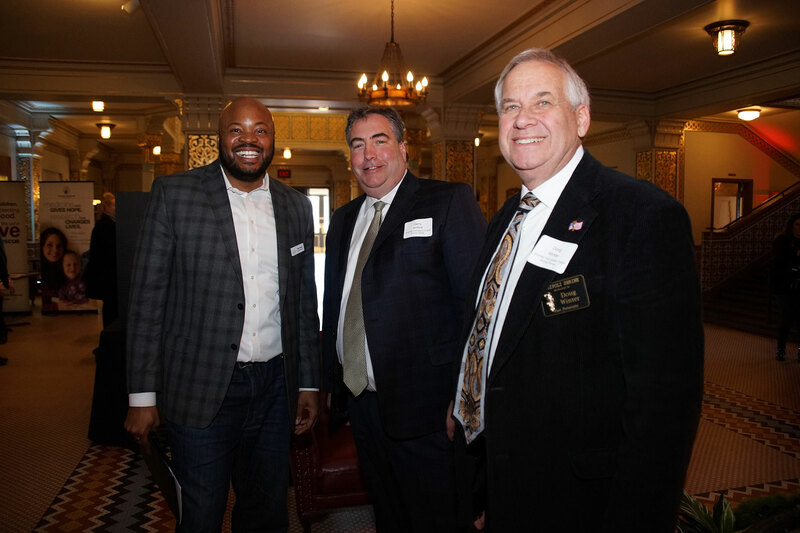 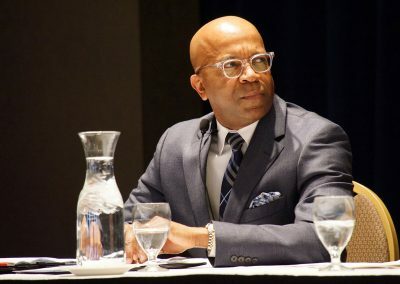 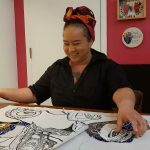 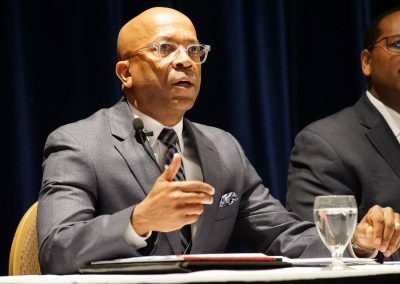 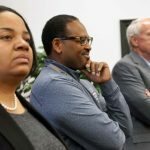 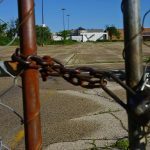 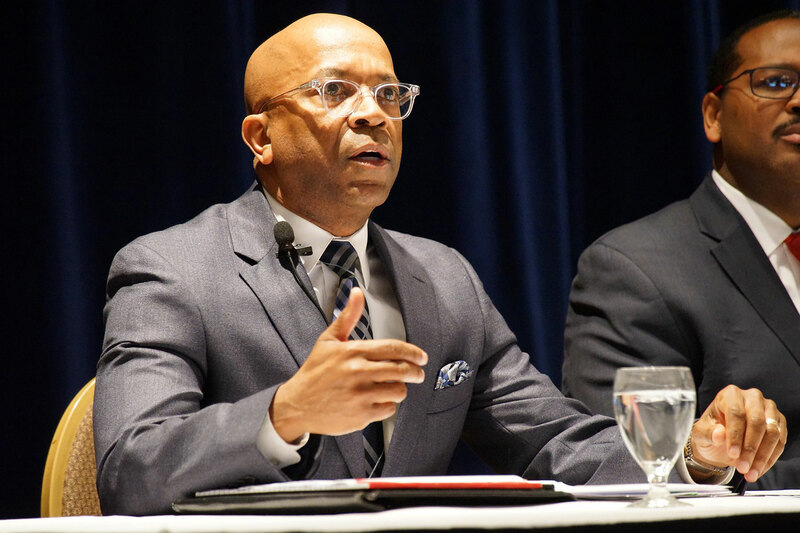 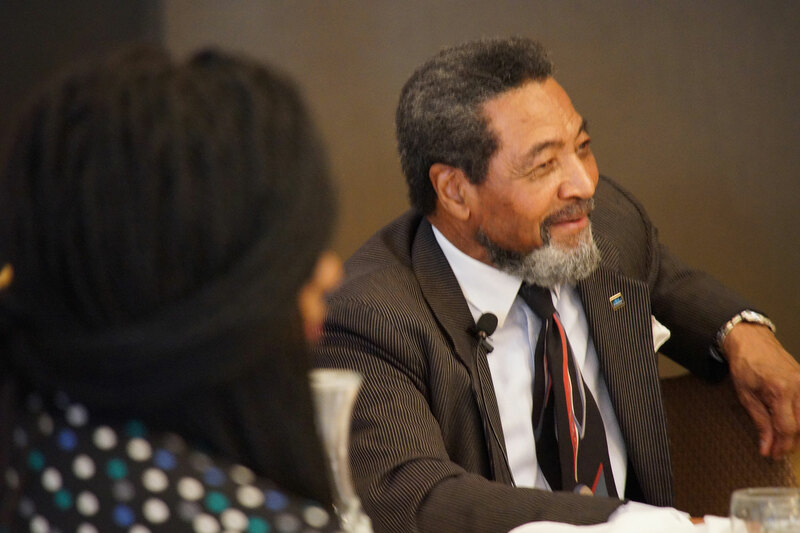 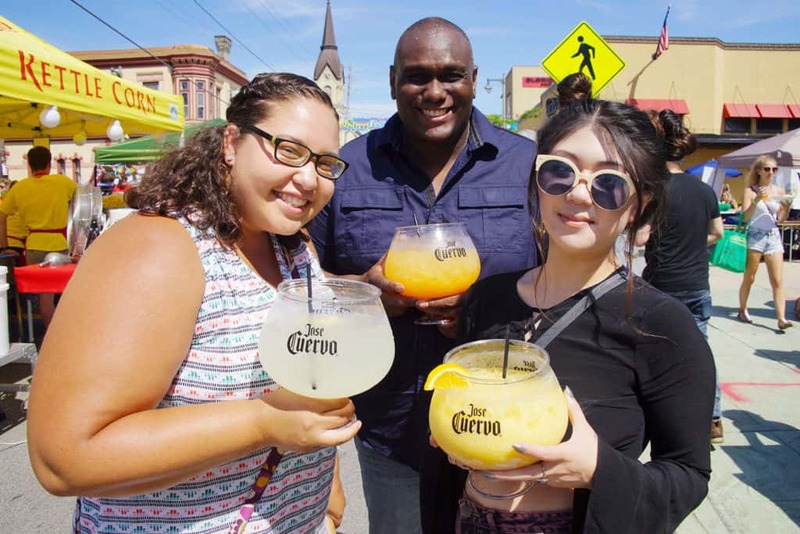 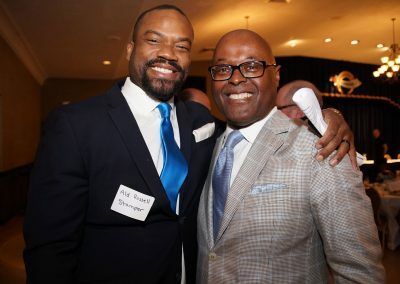 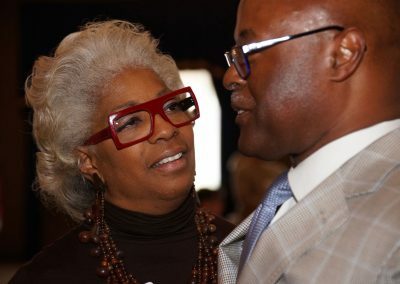 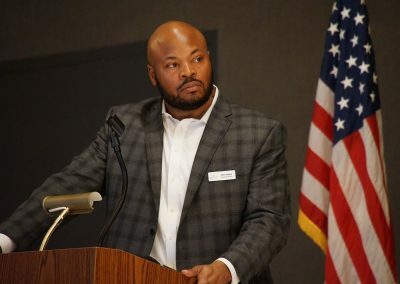 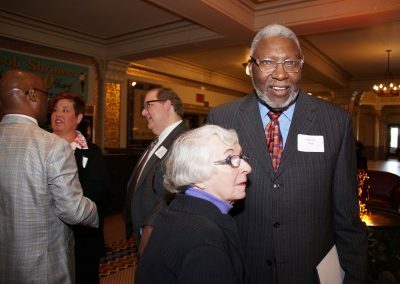 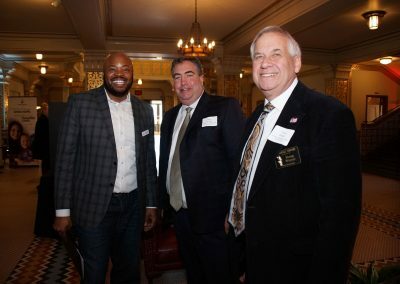 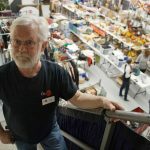 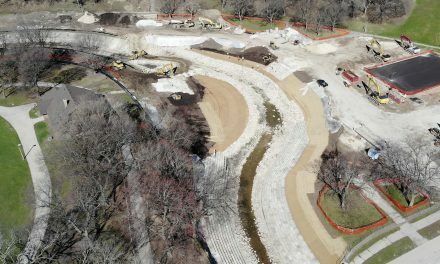 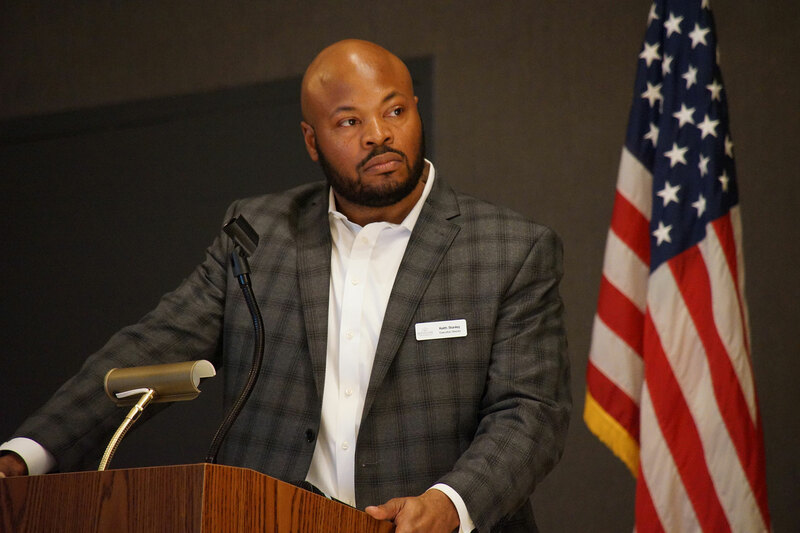 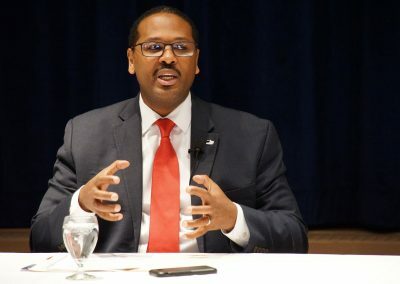 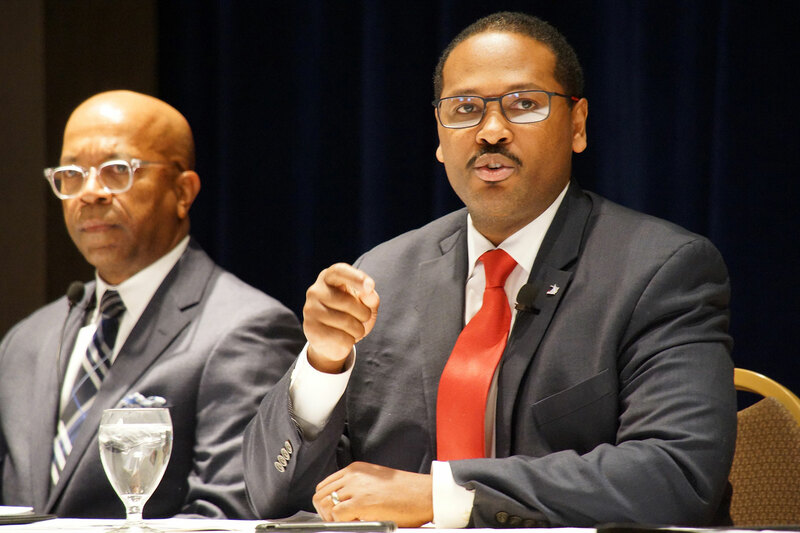 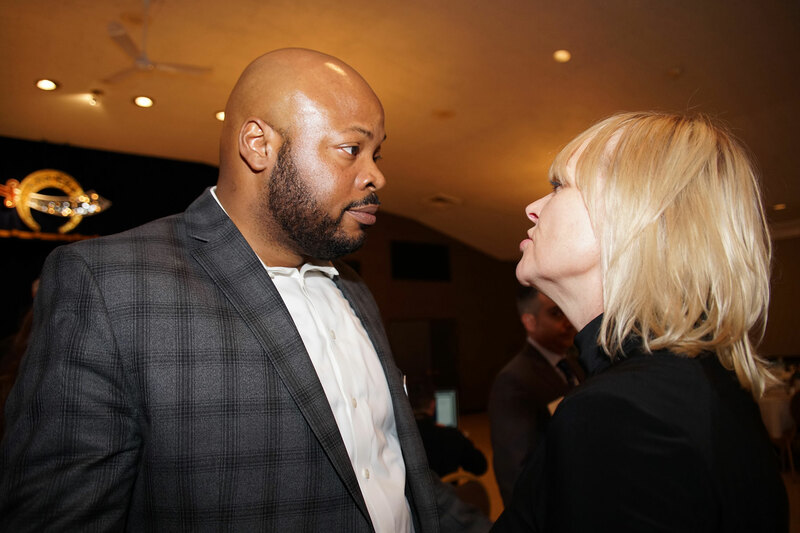 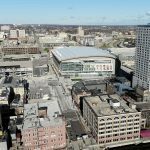 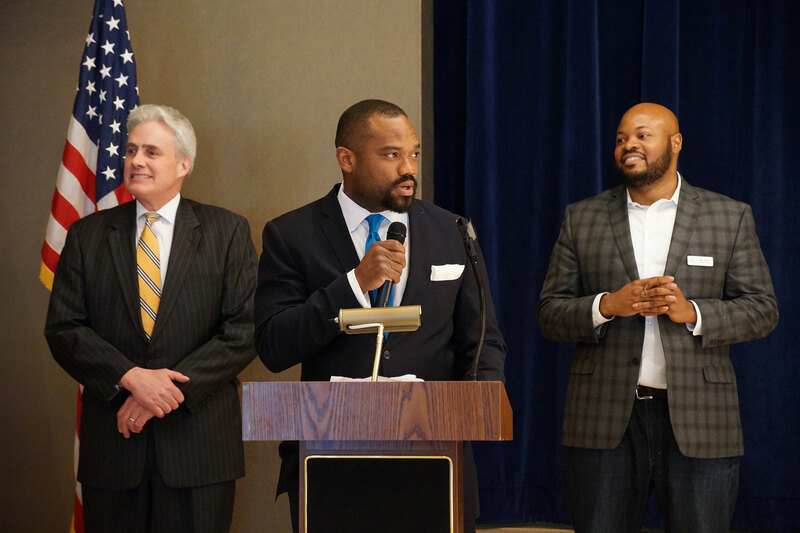 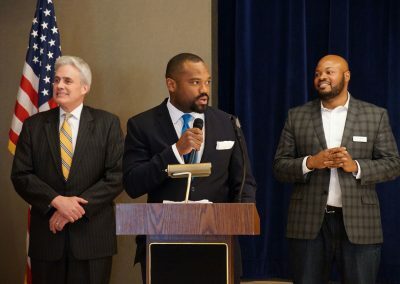 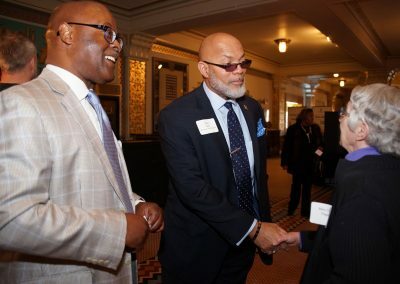 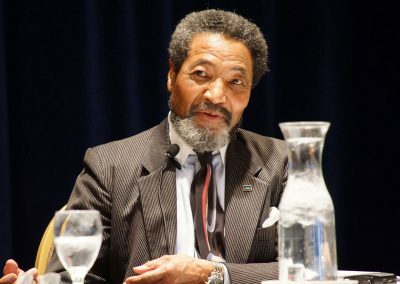 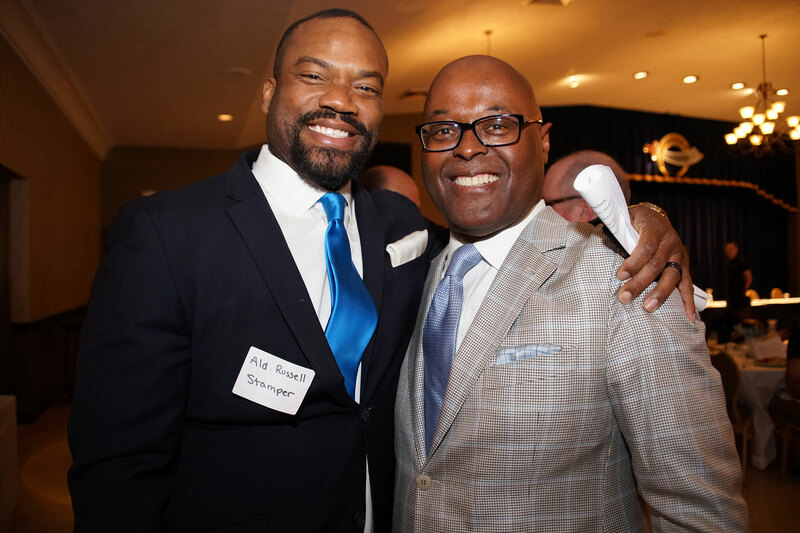 Ben Johnson (1976 – 1980), Marvin Pratt (2000 – 2004), Willie Hines (2004 – 2014), and current leader since 2016 Ashanti Hamilton talked about their rare view from the top of Milwaukee politics. 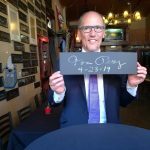 The panel marked the first time that all four Milwaukee leaders had appeared together in public for such an insightful event. 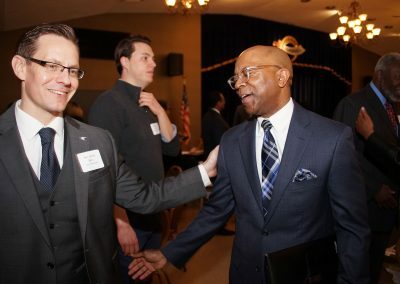 Keith Stanley, executive director of Near West Side Partners, moderated the discussion and asked questions that revolved around the experiences each president had in office, including how they impacted the City of Milwaukee over the years, the challenges facing Milwaukee, and how they each worked to surmount those challenges during their tenures. 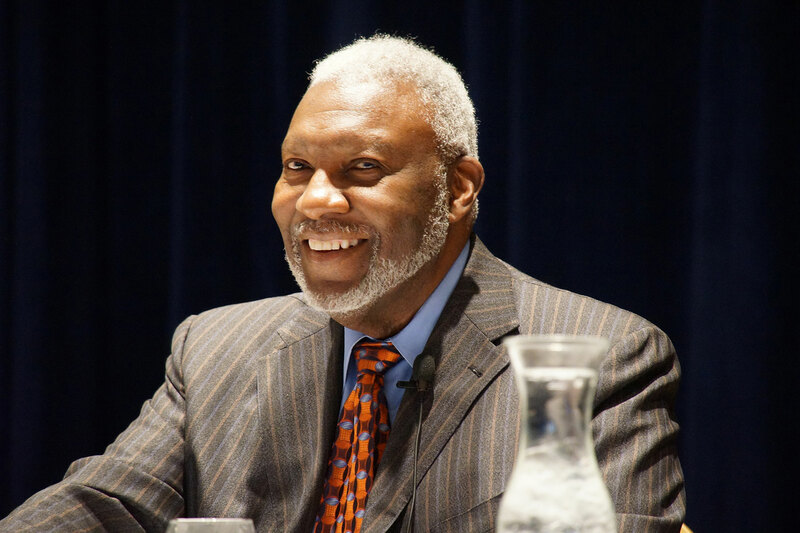 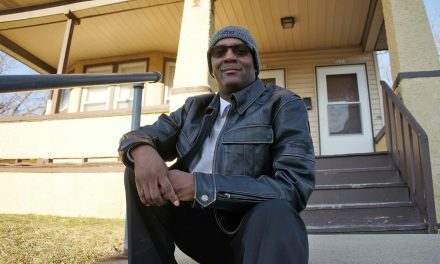 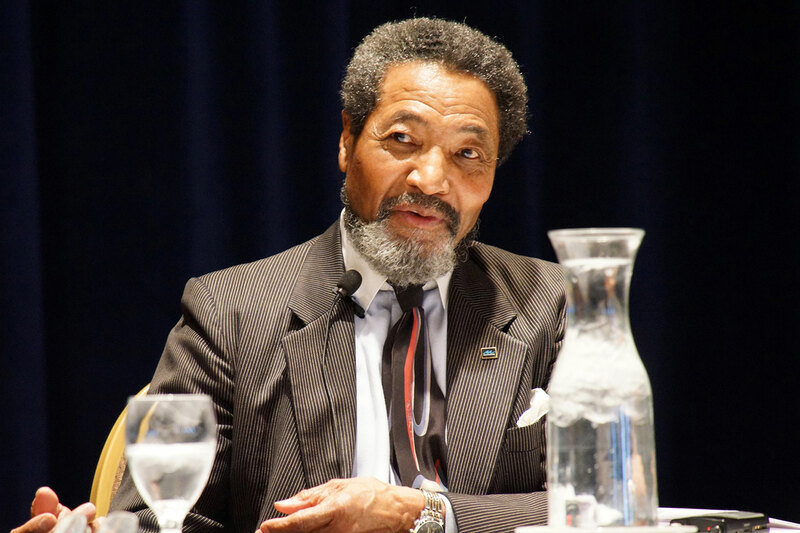 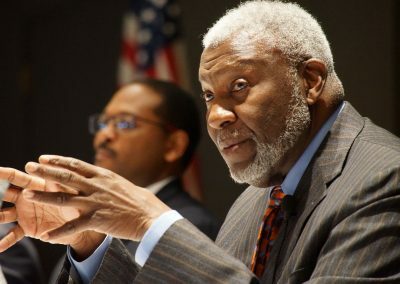 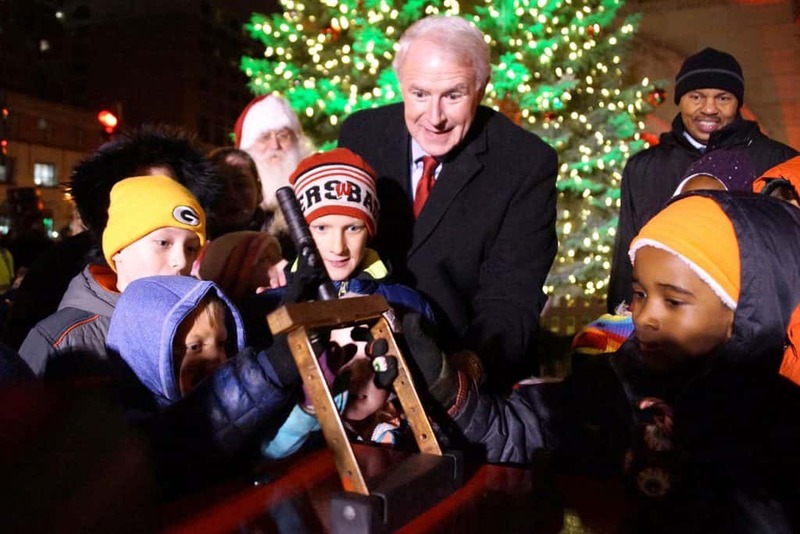 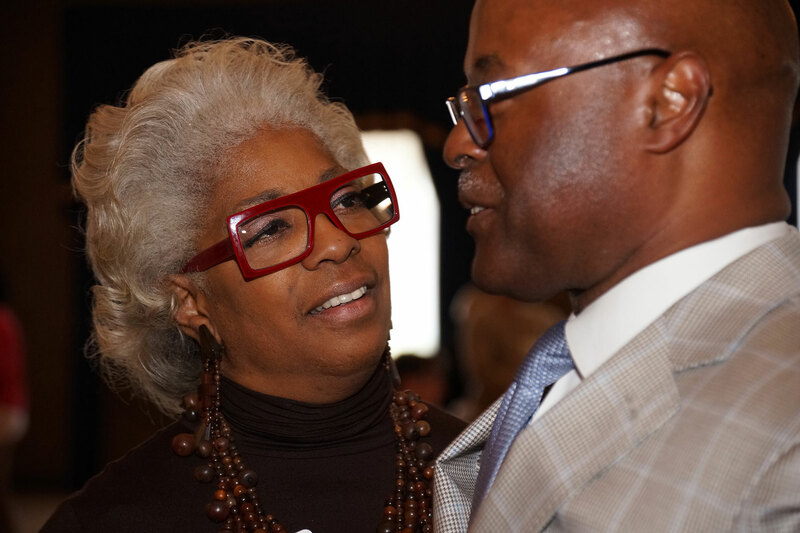 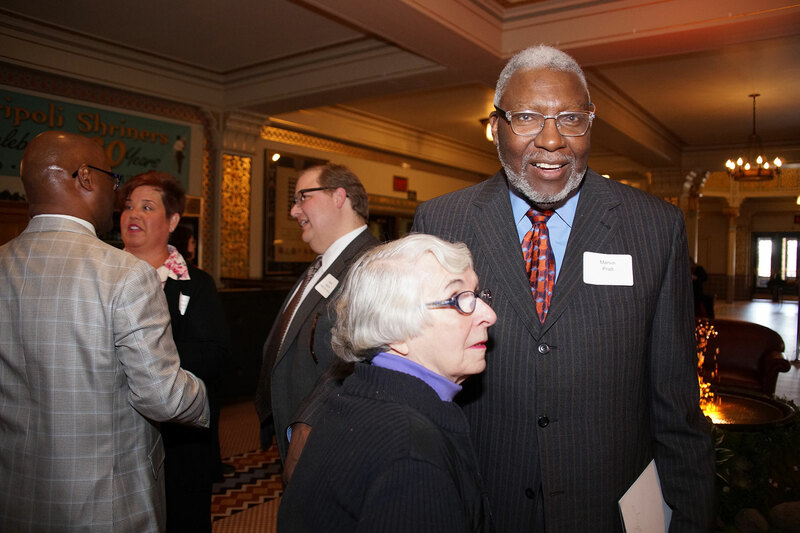 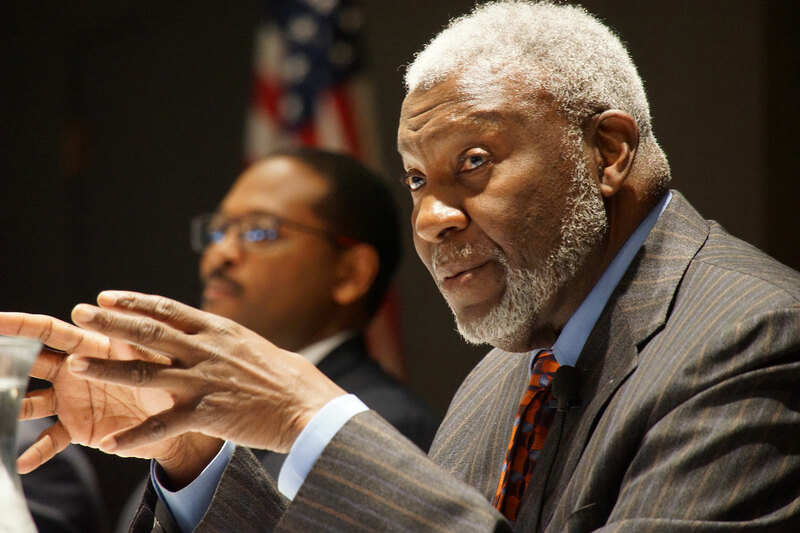 Additionally, Pratt is the only African-American to serve as Mayor for the City of Milwaukee. 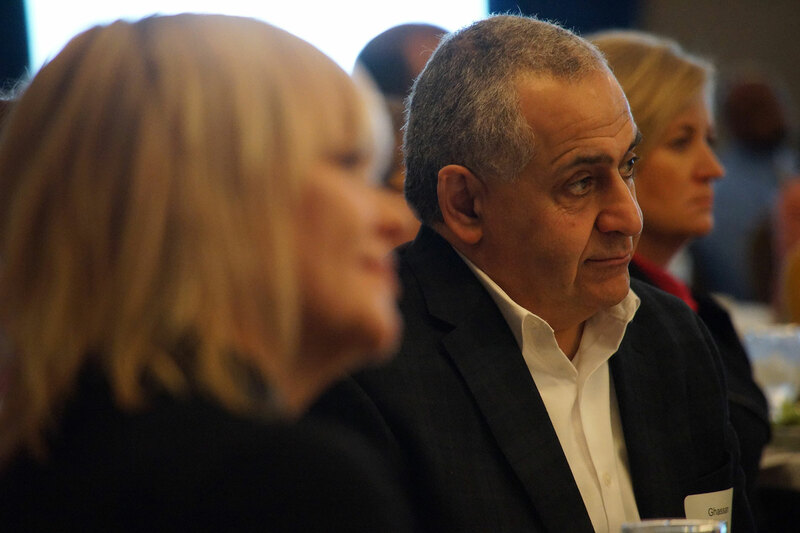 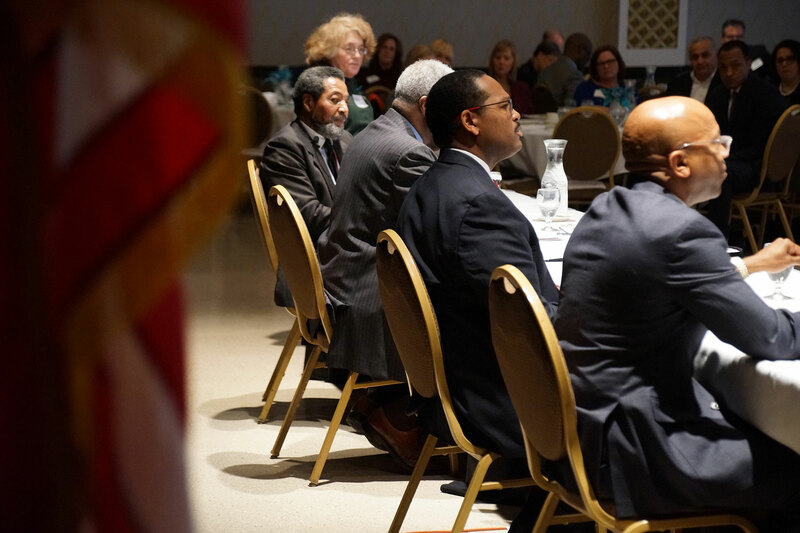 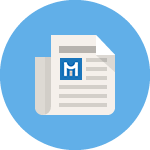 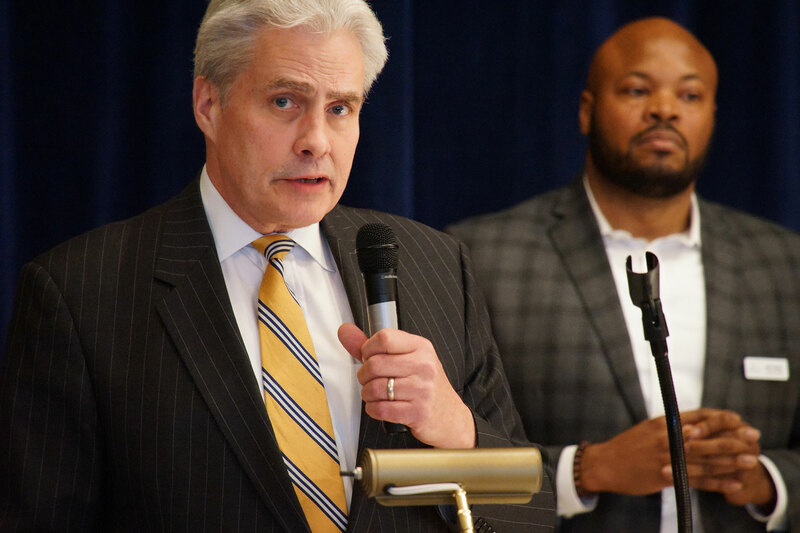 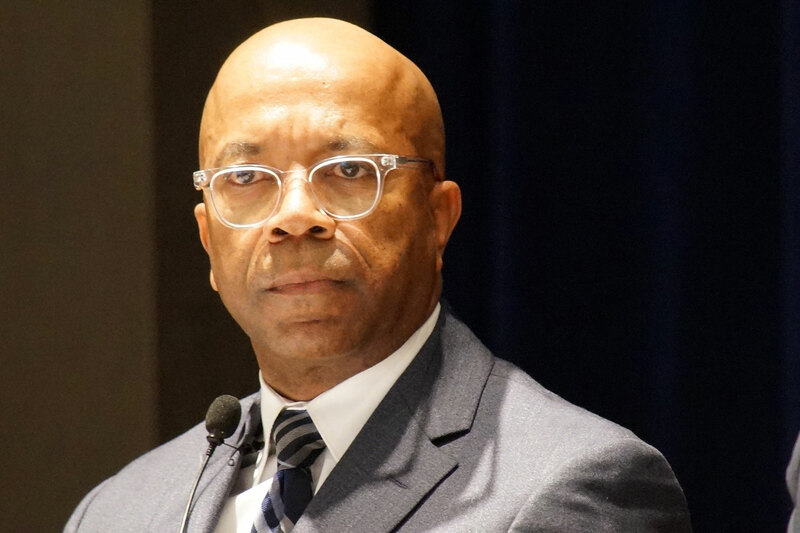 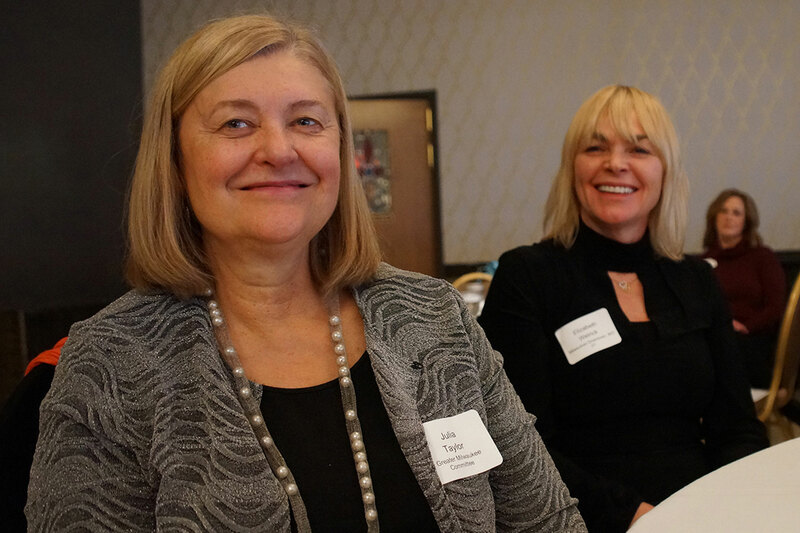 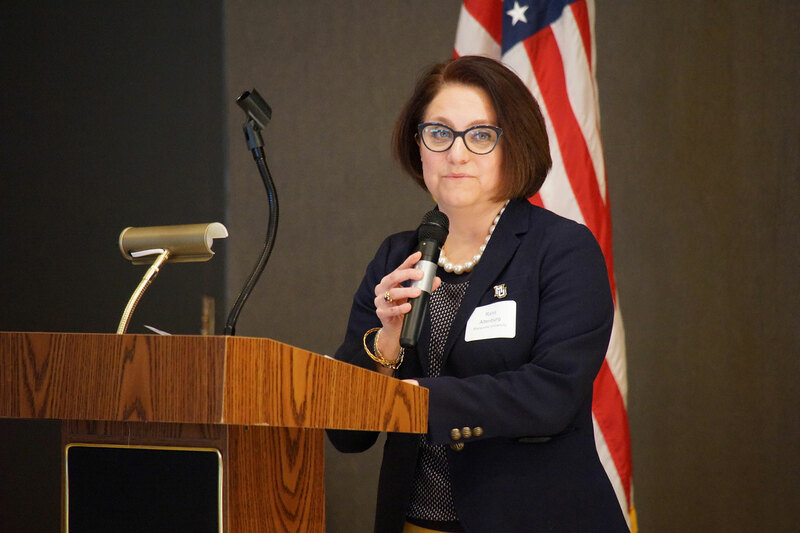 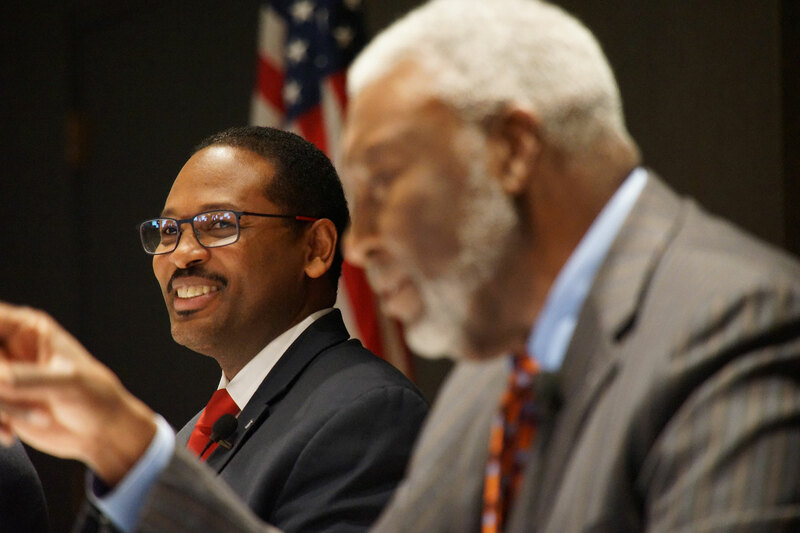 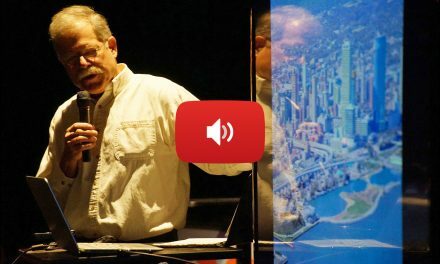 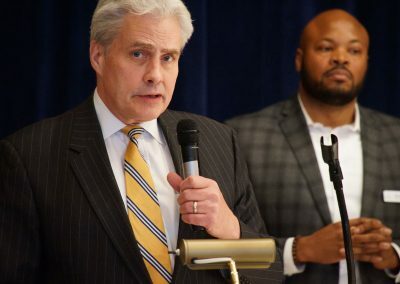 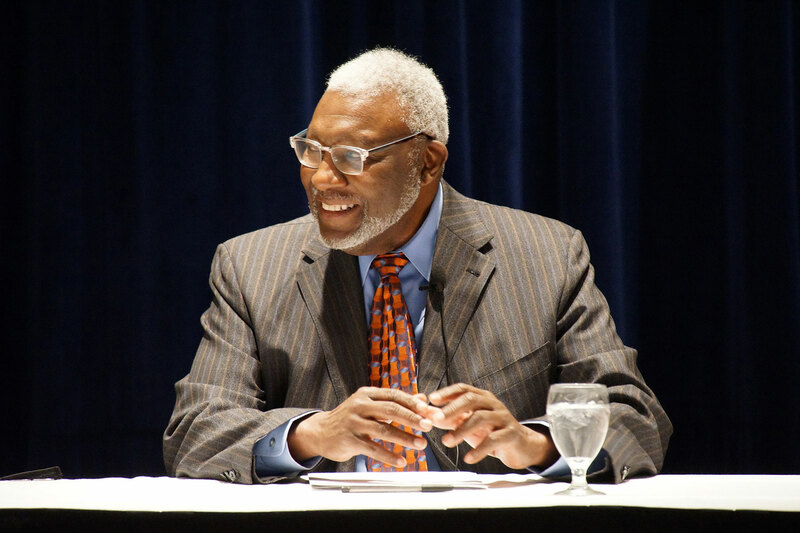 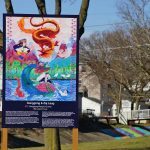 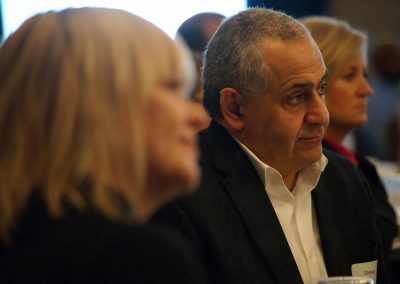 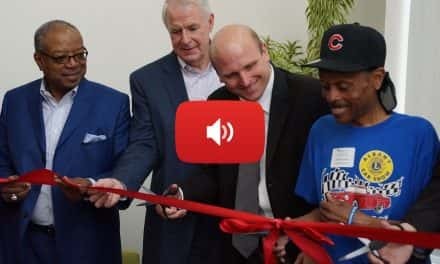 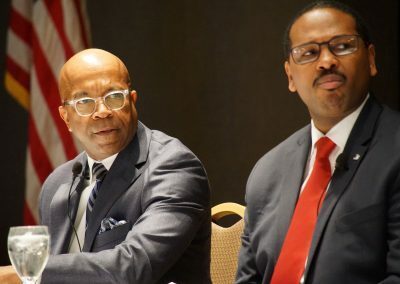 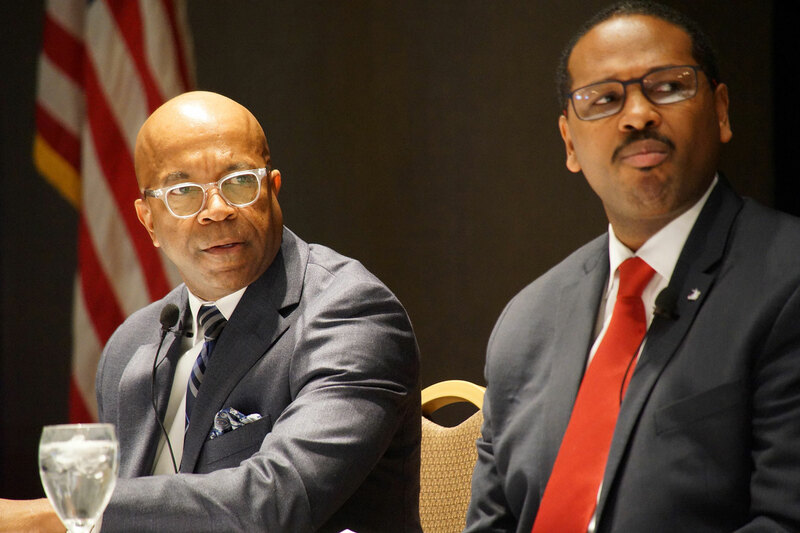 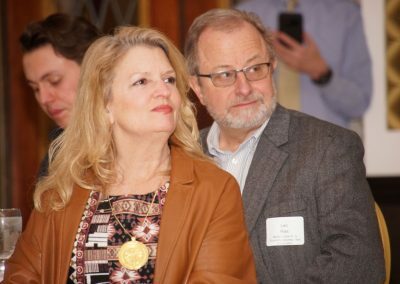 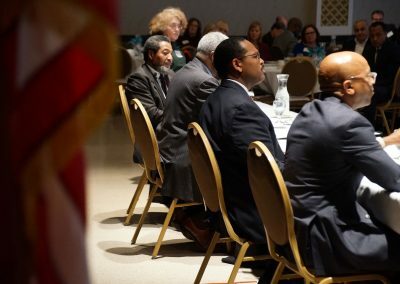 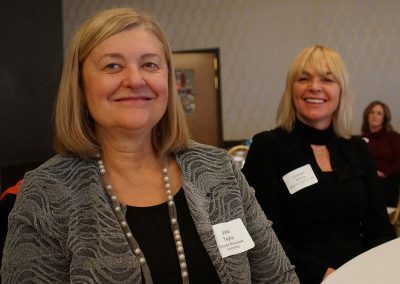 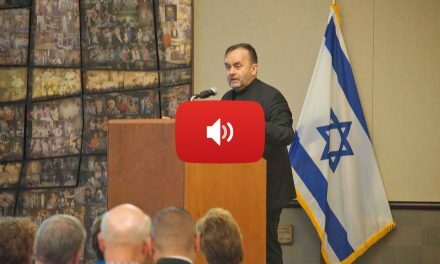 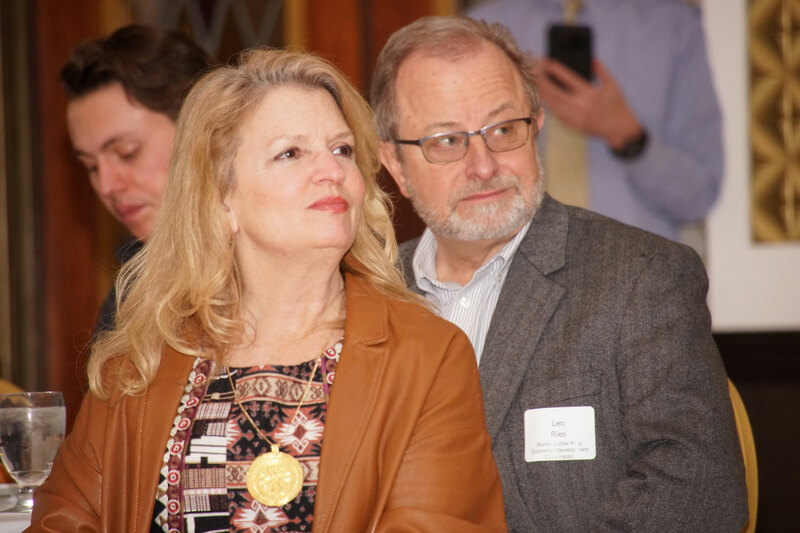 This audio was recorded live during the “A View from the Top: Five Decades of Common Council Leadership” event at the Tripoli Shrine Center, with corresponding photos that captured the historic meeting.